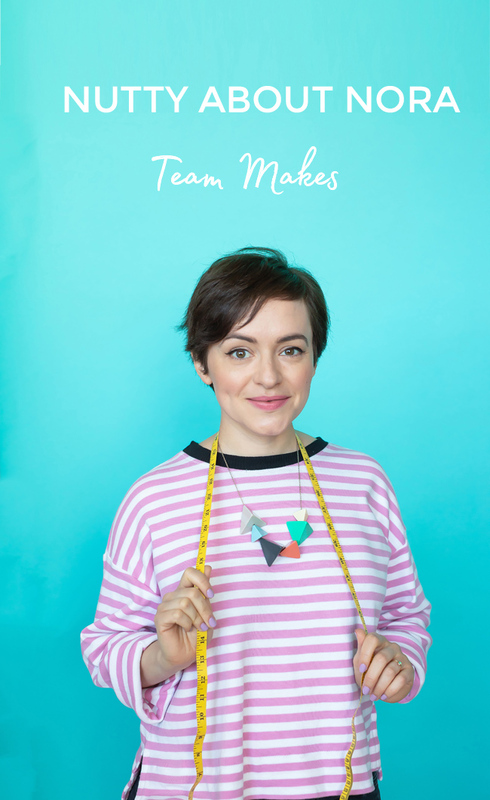 Tilly and the Buttons: Nutty about Nora - Team Makes! 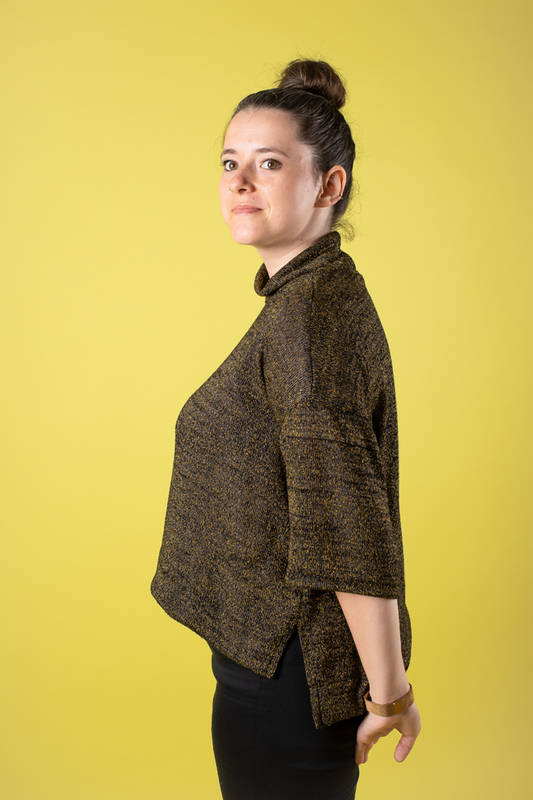 Kate made her Nora with the narrow neckband and elbow length sleeves. 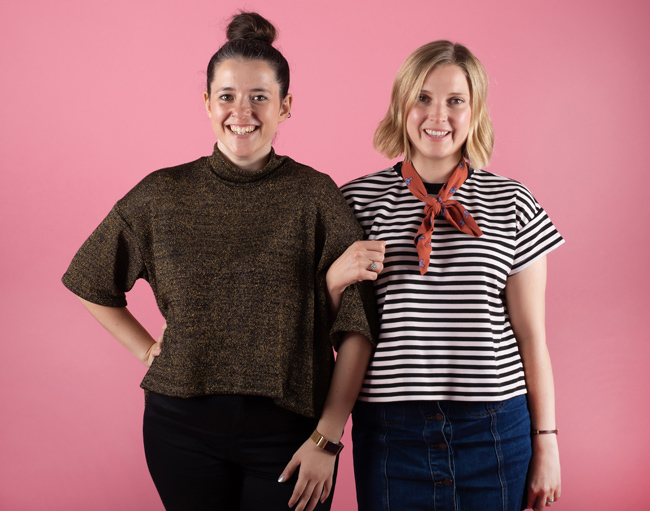 She's used a striped drapey jersey which gives her Nora tee a classic look with a chic twist. Fabric from her local fabric gold mine in Hackney. 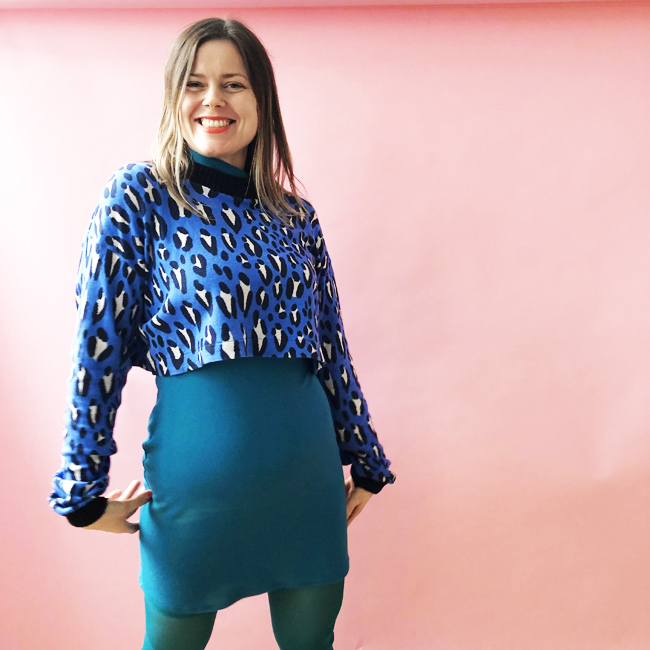 Kate's favourite feature about Nora is how easy she is to make and the fact you can whip up a new top in an evening. That's a sewing win! 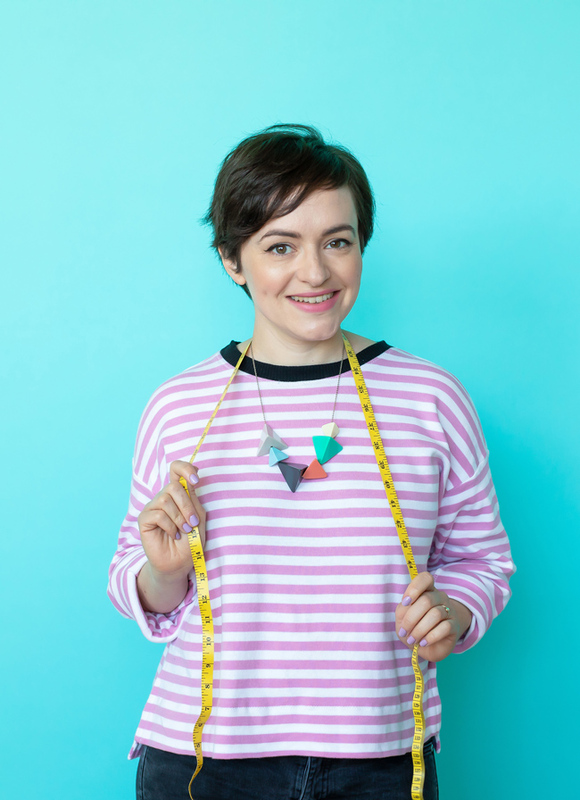 Tilly sewed up her Nora in a soft stripy interlock from Fabworks. It's the first Nora ever made! It has the narrow neckband cropped and stepped hem and extra long sleeves for cosy and stylish vibes. Tilly loves Nora for her all season versatility and effortlessly stylish shape. 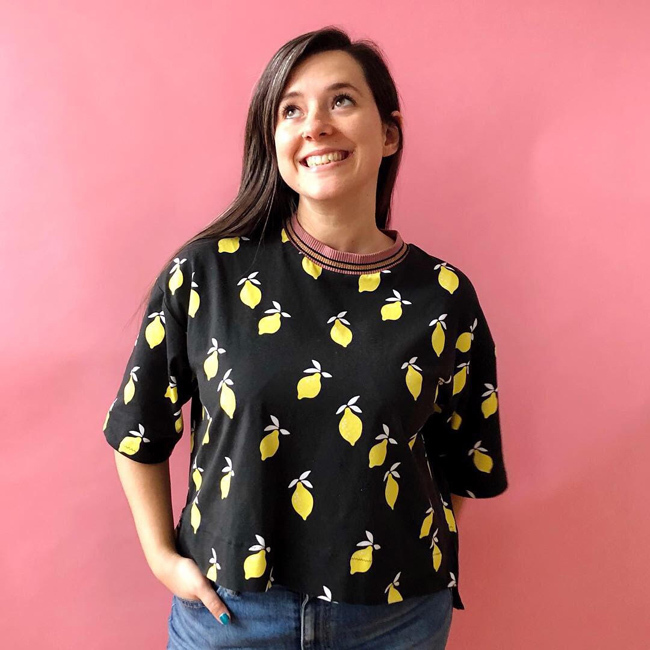 Jenny's made a lemons print Nora in a medium weight jersey with the cropped and stepped hem and a contrast neckband bringing this Nora from simple to fancy! Fabric is from one of our lovely sponsors Sister Mintaka. Neckband from Stoff & Stil. 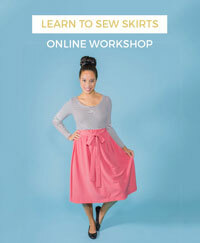 Jenny loves seeing how different each Nora looks depending on the fabric choice it's made in. 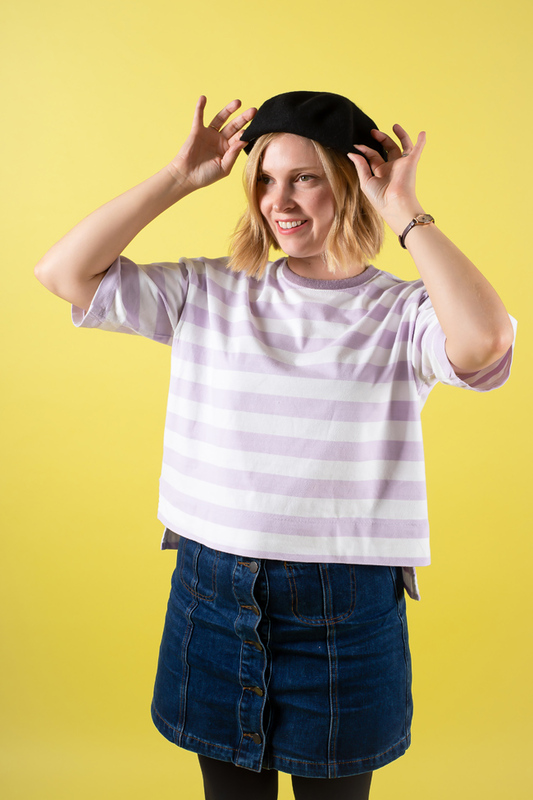 Louise has made this Nora with a narrow neckband in contrast sweatshirting fabric and cotton t-shirt jersey for the bodice with a cropped and stepped hem and elbow length sleeves. Fabric from Fabworks. 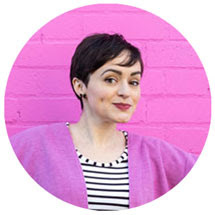 Louise's favourite detail about Nora is the amount of options there are for style choices e.g length of the sleeves, bodice and neckband. The endless possibilities of Nora! Serefina has cleverly hacked her Nora to have a super cropped bodice and cuffed sleeves. She used a fabulous leopard print sweatshirting and ribbing for her neckband and cuffs. Sweatshirting from Sister Mintaka. Serefina loves that Nora can be adapted and customised to suit any style and shape. This is Jenny's party Nora made in a glittery sweater knit from Fabric Land. 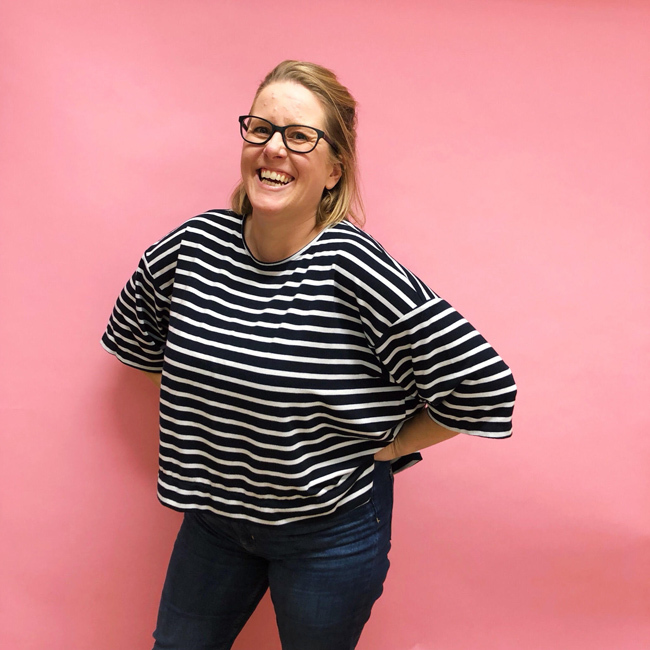 With the slouchy neck, cropped and stepped hem and extra long sleeves, this is her go to party top for an easy, fun and stylish outfit. Do you love Nora as much as us? We're clearly besotted! We want to see your Noras! Tag us on social media and use the hashtag #SewingNora. You can grab your own Nora pattern from our shop.